﻿ Honorary Consul for New Mexico | Embassy of the Republic of Zambia in Washington, D.C.
Patrick Mapalo is Zambia’s Honorary Consul in Albuquerque, New Mexico. He performs delegated functions on behalf of the Embassy of the Republic of Zambia. 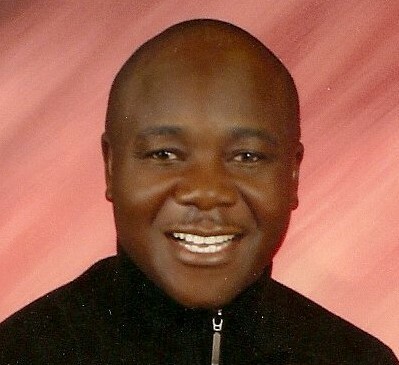 Patrick Mapalo is owner of Kumba Coffee based in Albuquerque, New Mexico. He was born and raised in Zambia. Mr. Mapalo holds a Master of Science degree in Aeronautical Science Project Management, undergraduate degree in Management of Information Systems with a minor in Business Administration, and two diplomas in Practical and Systematic Theology. Since 2004, Mr. Mapalo has been leading various teams to Zambia by creating partnerships with different Government agencies, universities, high schools and cultural leadership between the United States of America and Zambia. In 2012, Memorandum of Understandings (MoU’s) were signed by two universities, University of New Mexico (UNM) and Eastern New Mexico University (ENMU), with the University of Zambia (UNZA). The Sister Cities program is at the heart of Mr. Mapalo who has helped to connect three cities in New Mexico, Albuquerque, Santa Fe, and Clovis with Lusaka, Livingstone and Kasama, respectively. As a result of this work, in 2015, Mr. Mapalo was honored by the Governor of the State of New Mexico, (Ms. Suzanna Martinez) with an outstanding service to New Mexico and Zambia. Former New Mexico State Treasurer Mr. James B. Lewis also honoured him as The Guardian of the Treasury of New Mexico. Mr. Mapalo also sits on various boards within the state in advancing project management skills and inter-business/cultural connections between the USA and Zambia.